Games get you going. They make you laugh and get you excited. They make you moan when you lose and cheer when you win. They can be played one against the other, group against group, human against computer, or all by your self. In addition, they inspire competition and grab attention. Games are fun and who doesn’t want to have fun while learning? Put simply, Gamification is the use of gaming principles in the field of education in order to get students involved, engaged, and excited about learning. Gamification introduces concepts like badges, levels, achievements, and game points to the classroom. Students are rewarded with these concepts when they succeed, but are not penalized when they don’t. By introducing a system of rewards without harsh penalties, students are not afraid to step outside of their comfort zone and fail. By removing their fear of failure we subconsciously encourage them to learn. Gamification adds fun to the classroom by using what comes natural to humans – social play. Here are 6 ways to gamify your classroom. Giving students individual time to play educational games online either as part of a lesson or as a reward, is one of the easiest ways to integrate gamification into your classroom. Developed by an elementary school teacher, Room Recess offers games that focus on math, language arts, spelling, reading, and basic problem solving with fun titles like “Zombie Paint” and “Tic Math Toe”. Aligned with Common Core Standards, this site offers over 200 free math games, printable worksheets, and videos for students from 1st to 8th grade. Great for all ages, this site offers fun games that focus on quick thinking, logic, math, brainteasers, physics and more. Other sites to check out include Duckie Deck, Fun brain, and Jefferson Lab. This rewards based, competitive game will keep your students paying attention because at anytime you can offer a “Best Guess” question. With only a few materials, this game will easily become an everyday gamification integration. Materials: Computer paper, 60 numbered popsicle sticks, black marker, shoebox. Object: During a lesson, have students answer a question with their “Best Guess”. If they get the question correct, they will write their name next to a number within one of empty boxes on the “Best Guess” sheet. Best GuessOnce or twice a week, do the “Best Guess Rewards” by pulling one or more numbered popsicle sticks out of the shoebox. Whoever’s name is written next to that number gets the reward. Reward ideas can include an hour of computer time, outside play, the teacher’s assistant for a week, a pencil, a book and other rewards both material and non-material. No matter what your subject is, start your day off with an eye-opening piece of trivia or a riddle. Participation can be voluntary and rewards based. Have students write their answer on a piece of paper with their name and hand it in or have them “shout out” their guesses. Reward can be their name in a best guess box or something else. It’s worth your time to take a look at this classroom management site to help gamify your classroom. Youtopia uses activities, badges, points, and leadership boards to motivate and engage students. What makes this site so teacher friendly, is its pre-built templates for customizable lessons. Just check a few boxes, plug in goals, curriculum, and activities and your classroom is instantly gamified. The site is free for teachers with up to 50 students. After that, it’s $10 per month for 150 students. There is also a package for entire schools. Add board games to your teacher resource library or make your own. One of the best places to find ideas for making board games is on Pinterest. Use this popular gaming system in your classroom to actively engage and motivate your students. The Wii can be used as both an instructional tool and as a reward. Here are just a few ways you can use Nintendo Wii in the classroom. Students can check and track weather around the world, read news from around the world, and access an interactive world map. Involve the entire class, groups of 2 or more, or individual students with the Wii’s Internet Channel. Using the Wii’s controller, known as a Wiimote, students can browse the Internet and play games just like on a computer. The Wii’s Photo Channel allows students to upload photos from an SD Card. Students can work on a variety of themed projects with this feature such as visually recording field trips and class events, documenting nature, and telling stories through pictures. The Wii has many games that your students can play in the classroom. From educational games to sports and fantasy, Wii is a successful way to gamify your classroom. With Wii, students will improve in many skill areas, including fine motor skills and social and technological skills. They can even learn to cook with the Wii. 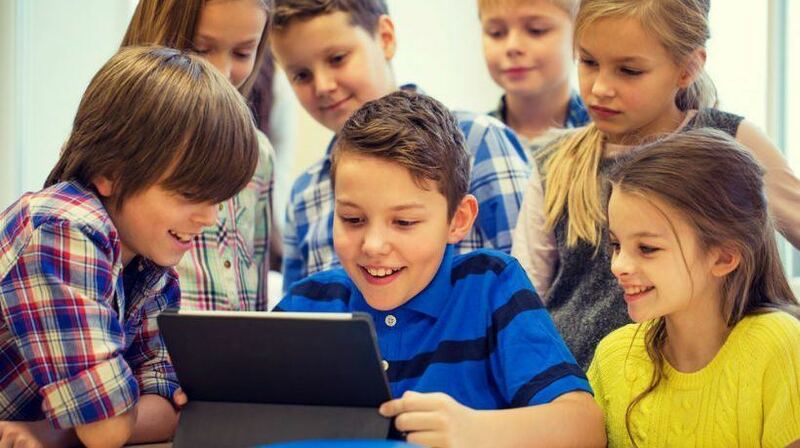 By gamifing your classroom, you provide exciting incentives for learning while also promoting teamwork, healthy competition, and a safe, fun classroom culture. Include just a few of the above suggestions for gamifying your classroom and you’ll see both learning and classroom management improve.